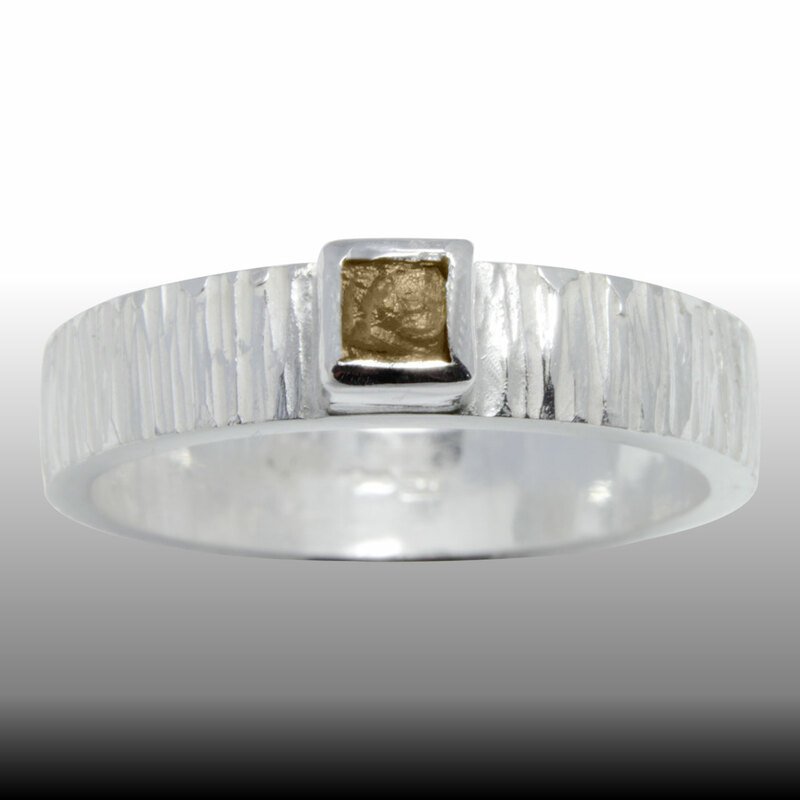 A hand hammered ring shank set with a 3mm Cube Raw Diamond in yellow tones. 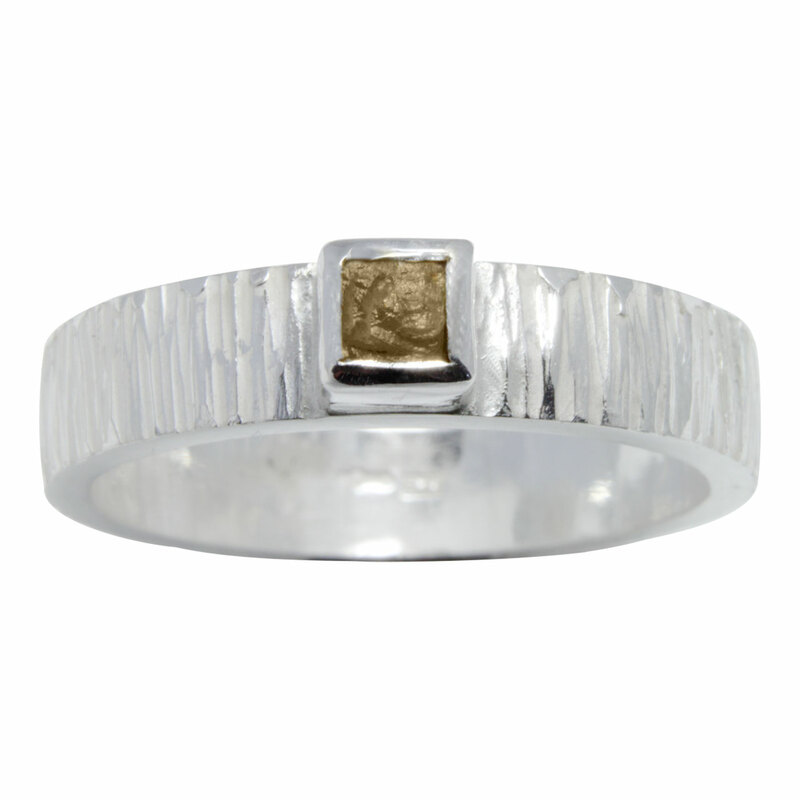 The width of the ring is about 5mm and is constructed from thick recycled silver. The Ring is delivered hallmarked and also carries my personal makers stamp. 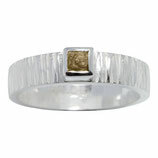 This ring arrives at your door in my personalised gift packaging. If your size is not in the selection, please do hesitate to contact me with your specific request.